Disclosure from P.C. Zick: I grew up in the same small town as the author. However, I have not seen her in nearly fifty years. My sister-in-law showed me the book on a recent visit. I immediately downloaded a copy and read the lengthy book in two days while traveling. Riveting. Horrifying. Thrilling. And unbelievable, yet the book is not a work of fiction. This is the story of Patrice Johnson’s son, Tyler, and the choices he made while in panic mode in a post 9/11 world. Once I began reading this nonfiction account that includes the journal writings and scientific ramblings of a young genius, I read late into the night and risked missing a family reunion. The story captured my attention at first because I knew the author. But the writing of both mother and son kept me glued to my Kindle whenever I could steal away from others on our recent trip to Michigan. Tyler Johnson wasn’t a typical college student in some ways. His future lay before him as a physicist with papers published on quantum physics and artificial intelligence. But in other ways, he was typical. A last night of revelry at Caltech before he headed to the University of New Mexico to enter into a doctoral program led to some misguided decisions fueled by alcohol. One of his buddies, Danny Blair, threw a gasoline-filled bottle into a car lot filled with SUVs as a protest to the gas-guzzling vehicles. When several Hummers burn up in Danny’s stupid act of a drunken activist, the full force of the newly implemented national security laws come down hard on the head of Tyler, and he suddenly finds himself labeled as a domestic terrorist. He panics, and his fear led him to the life of a fugitive on the island of Corsica with some furtive trips to Paris and Marseilles to seek a way out to another country that wouldn’t extradite him. The story is about this young man’s journey told through his journals and his mother’s superb prose. Tyler and his girlfriend Yuki tremble in the dark shadows of crags, mountains, and woods. Survival in the most elemental way becomes the overriding agenda for each day. Not being captured sits on their shoulders and weighs much more than their hastily packed backpacks. Through the creative nonfiction of Tyler’s mother, I became engrossed in the details that few of us ever have to think about. Where will they hide next? How will they find jobs without papers? Will they have water? These become the overriding thoughts of everyday life for the two. There are times when Yuki’s sanity seems in jeopardy, yet she always pulls through. Tyler keeps his sanity through his physics and math. The book includes his sketches of ideas and theorems far beyond anything I will ever be able to comprehend. Most of the time while reading the book, I forgot who wrote it. I forgot everything except wondering if the people who sometimes befriended them could be trusted or if they’d ever find their beloved mutt that had adopted them while traversing the Corsican landscape. Sometimes, it came as a jolt to realize a grieving mother wrote this loving tribute to her son who became a victim of his own poor choices. I’ve made a ton of them in my lifetime, particularly when I was Tyler’s age. We all have. But most of our mistakes can either be swept away by moving forward or revoked through an apology or two. Tyler’s poor choice to flee the country rather than staying and working through the consequences with the support of his loving family ended in disaster. At first, I thought the book ended abruptly. It left me with more questions than answers. But as I absorbed his story, I realized that Patrice Johnson ended a hopeless story with a note of hope. Then I read the title again, which I originally thought was The Rise and Fall of Tyler Johnson. But it is not. It is The Fall and Rise. Word order matters. The love of a mother for her son shines through every word of this story focused on four years of his short life. I admire Patrice, Tyler’s father, and Tyler’s sister for bringing his tragic tale to the public. Since finishing the book, I have thought about the choices I’ve made in my life. And the poor ones almost always were made from a place of fear. It is my sincere hope that others will read this book and learn from Tyler’s life. That’s the very best legacy of all. 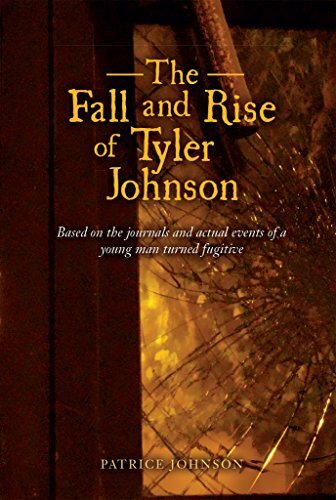 To purchase The Fall and Rise of Tyler Johnson, click the links below. I am so proud of my friend and colleague, Marisella Veiga, on the publication of We Carry Our Homes with Us – A Cuban American Memoir. Yes, I do have a personal relationship with the author so perhaps my comments might be viewed as slanted. However, I can tell you her book is honest, raw, and triumphant. As someone who lived in the same town until I went away to college–thirty miles away–this book astounded me as I attempted to understand what it must have been like to move as much as the Veiga family did during Marisella’s formative years. Not only did they move, but they were ripped from their home only to become exiles in a foreign land where very few understood what it meant to be Cuban. I’ve known Marisella for more than a decade, but I discovered I really didn’t know her heart and soul until I read her account of what it was like growing up as an exile from her homeland of Cuba. At three years old, she didn’t understand the ramifications of the plane ride from Havana to Miami with her mother and two brothers. Her father joined them later with only fourteen cents in his pocket and dim prospects for work in a city teeming with Cubans who’d escaped the Communist regime of Fidel Castro. Both of her parents were professionals: her mother was an optometrist, and her father a respected accountant. With three young children and a fourth on the way, they were placed with a host family in Minnesota–so far from their culture that even a far cry couldn’t reach the shores of the island just ninety miles away from the United States. But her father would be able to find work there, maybe not at the same professional level as he enjoyed in Cuba, but work in his field nonetheless. There are parts that are heartbreaking, such as the story of the little Marisella not having any friends in school until the fourth grade, sitting isolated in the classroom in a world of silence because she did not yet speak English. She also looked different from the other students, where most of them hailed from northern European bloodlines. However, her descriptions of growing up in the United States of the 1960s in a community give a nostalgic longing for a time of innocence no longer possible in the age of social media exposure. The children formed their own communities. And the other Cuban families that came in the same program as the Veigas to Minnesota formed yet another, providing comfort in such a different place from Cuba. This statement alone let me know that I was reading about something vastly different from my own experience as a citizen of the United States. Even though the family settles in Minnesota, movement continues as the family grows in size and in finances. By the age of four, she’d lived in five different places, and the moves continued while living in Minnesota. A place is called a home, no matter where the dwelling is situated, for one reason: the sanctuary of home is carried within each person. The material manifestation–trailer, apartment, or mansion–is secondary. Marisella interviewed many of the folks she knew from the Minnesota days to write this book, and when it released in April, she returned for a book signing. Members of her family’s host family came to see her as did friends she made in the last few years they stayed there. After Marisella completed fifth grade, the family returned to Miami where they remained. Marisella returned to Minnesota for college to the place where her exile began but also where so many parts of her personality were formed. The writing of this book brought her full circle. This memoir, published by the Minnesota Historical Society Press, is an outstanding book that should be mandatory reading for all, especially those who find it difficult to embrace a culture different from their own. We Carry Out Homes With Us will open your heart and your mind. I had the pleasure of helping Marisella put together her Cuban Rice Classics cookbook several years ago. She’s a talented woman who does Cuban cooking demonstrations, speaks about her life of exile, and continues to write. More about Marisella Veiga: Writer Marisella Veiga was born in Havana, Cuba. She was raised both in St. Paul, Minnesota, and Miami, Florida. Her writings have appeared in numerous magazines and newspapers, including the Washington Post, Poets & Writers and Art in America. In 2004, she was given the Evelyn La Pierre Award in Journalism by Empowered Women International. She is a nationally syndicated columnist with Hispanic Link News Service. Many of these are recorded on a spoken word CD, Square Watermelons: Ten Essays on Living with Two Cultures available from Eclipse Recording Studio in St. Augustine. Many of her short stories, one of which won The Pushcart Prize Special Mention in Fiction, are in literary anthologies. Veiga’s essays also appear in Hispanic Outlook in Higher Education and Our Town magazines. Besides teaching part-time at Flagler College in St. Augustine, Florida writing, she has been giving Cuban cooking demonstrations at various venues around Florida. During January, I read two novels by two authors whose work I admire. One is a bestselling traditionally published author, and the other is an Indie Author who I’ve followed since the publication of her first novel. Both have written novels set in the west – one in San Francisco and one in an anonymous location either in western Canada or western United States. And both populated their new releases with characters overflowing in narcissism. Not only are the antagonists under the illusion that the world revolves around them, but the protagonists also suffer from this affliction. And most importantly, both novels are captivating reads filled with tension created by a certain depravity within the human condition. China Dolls by Lisa See – I was first introduced to Lisa See in 2009 when my sister-in-law lent me a copy of Peony in Love. Since reading that haunting love story, I’ve been a fan and read most all of her books. Her latest release China Dolls is no less captivating, but not quite as poetic as some of her other books. Set in San Francisco following the depression in the years leading up to World War II, this novel follows the lives of three very different young women as they follow their dreams and hearts. One of them, Ruby, is Japanese trying to pass as Chinese to avoid the bigotry and fear of her ancestral homeland. The other two, Grace and Helen, are Chinese but from very different circumstances and families. The three of them meet in 1938 and end up in a very fragile and volatile trio of “China Doll” performers. All of the three protagonists think only of themselves when crises occur, and they hit with vicious frequency. It’s hard to imagine how they could be friends again after some of the things that happen. But they are sewn together with a thin thread that sometimes breaks, but is always mended by some invisible force sewing them together in a patchwork quilt of familiarity. China Dolls is a compelling read, and even though I didn’t really like the three main characters, I couldn’t wait to find out how they might squirm out of their most recent predicaments. The novel explores the internment policies of the United States during World War II, and the reader is taken into the camps where the Japanese were herded during those dark and scary days. Given what’s happening today with all Muslims marked by those claiming to follow Islam, the story is a haunting reminder of what we did previously, and why it didn’t work then and should never be considered now. It’s worthwhile to read for this part of the story alone. I did find one aspect disturbing and thought the author had a chance to speak out against domestic violence in the life on one of the characters (trying not to give out a spoiler here! ), but instead she chose to push it aside. Instead, the abuser is excused because of the hardships in his early life. In my mind, there is no excuse for abuse of anyone, particularly a young defenseless child. Lisa See is a master storyteller, and she shines in this novel. How else to explain why I continued reading with anticipation a novel dotted with characters I didn’t admire or want to be? These three women are anti-heroes in some ways, yet their stories are compelling and presented in a fascinating package. Maelstrom by Francis Guenette – The title of this thriller is appropriate on several levels. The plot is a maelstrom of conflicts. The characters are embroiled in a maelstrom of emotions. The events could be described as nothing else besides a maelstrom. Also, the creation of this work of fiction created a maelstrom of emotions in its producer and writer, who took the draft of a manuscript began by her mother, June Guenette, many years ago. After June’s death in 1997, the manuscript went to Francis’ son and was seemingly lost until a few years ago. Francis took the original seed of an idea and turned it into the page-turning, twisted story of a fictional town in the rugged western regions of the North American continent. But as she took typewritten white placemat pages and turned them into a manuscript, the author suggests she went through her own maelstrom to bring the novel to publication. If you’ve read any of the books in the Crater Lake Series by Francis Guenette, be prepared to be as shocked as I was. There are very few likable characters, until perhaps the end. And any compassion felt for some of the younger ones is born of pity and not true empathy. Never will you meet such evil, narcissist folks as the ones who roam and rule the streets of Haddon. I don’t usually read books filled with such horribly violent scenes, such as populated the pages of this novel, but because the author created a compelling story, I found myself guiltily escaping back to my Kindle to find out if and when the worst of the worst would get their due. Ms. Guenette once again proves her prowess as a gifted storyteller with her descriptive setting of the isolated town and its towering castle on the hill, Casa Destino. Long-held resentments and prejudices dominate the action of the novel. The two main antagonists, Sheriff Calder and Mayor Thatcher, dominate the scenes. The man set to inherit Casa Destino after the death of his adopted father, Myhetta, appears to be unfeeling and unemotional through much of the story. But eventually, some redeeming qualities do appear toward the end. But he has been so damaged, as has everyone around him, that it’s unclear what fate holds for him. Never have I read a novel filled with so much human depravity. I feel as if I need a very hot shower to wash it all away. As with the previous review, this novel explores the dangers of bigotry and genetics. It’s a lesson in how not to live life. One relationship stands out as one with some virtue, and that’s the one between Myhetta and his best friend, Laird. Loyalty above all else withstands all the tests. And the love of a mother for her child shines through in both Myhetta’s mother, Ayha, and Laura Thatcher for the son she adopted when she married the mayor. Myetta and Laura emerge as the main characters, eventually. They change the most during the course of the novel, and for once, it’s in positive ways. Fast-paced and riveting, this novel requires a score card. The characters are many and their intertwined lives require the reader to always pay attention or be lost in the maelstrom.